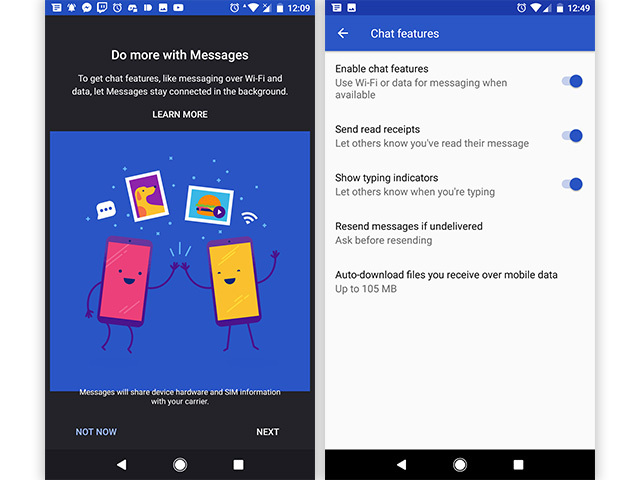 Earlier this month, a teardown of Android Messages (v2.9) revealed that Google was working to introduce RCS messaging for the platform. 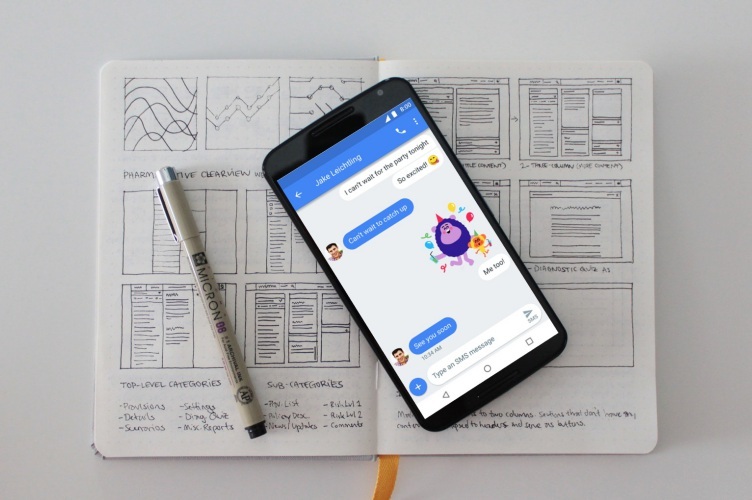 For the uninitiated, RCS or Rich Communication Services is an enhanced messaging experience which allows users to share media, including images, emoji, stickers, location and audio messages, along with the usual text messages. Now, the company seems to be rolling out the feature to some users. 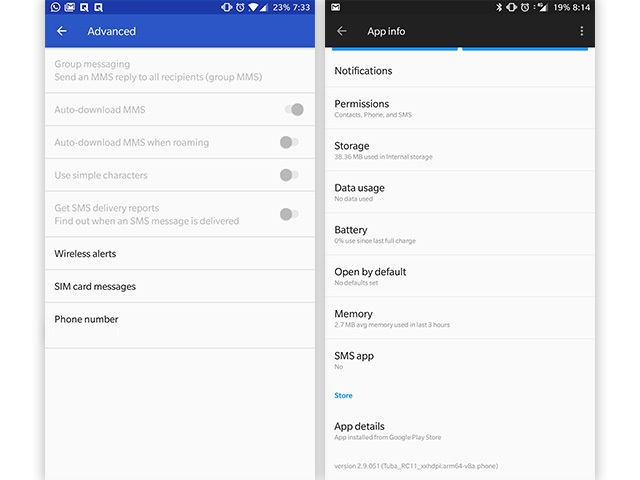 According to a recent post on Reddit, an Android Messages user from Philippines has received the new features in v2.9.051 of the app. The user has attached screenshots of the same, which showcase Android Messages’ ability to send media files via SMS, send messages over data/WiFi, see when friends are typing, and display read receipts. However, even though Google has started rolling out the RCS features, enabling them depends on the carriers. This means that users with carriers that support RCS will be able to use the features, while others will be limited to simple text messages. The author of the Reddit post was able to access the features because their carrier, Globe Telecom, supports RCS messaging. We tested the latest update for Android Messages on a number of devices at our office, but the RCS features were not available in India for any of the carriers.